Property 8: The Perfect Treat for two on Nelson's Waterfront! Property 14: Quiet , Stylish 2 bedroom Apartment , situated in the heart of town. 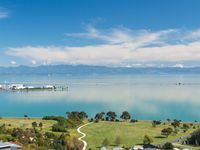 23 Below - Affordable Nelson Apartment with Views! 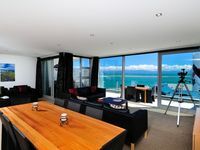 Property 15: 23 Below - Affordable Nelson Apartment with Views! Nelson CBD apartment - Terrace House in the City! Property 31: Nelson CBD apartment - Terrace House in the City! Your private oasis with sea views, a tranquil setting yet so close to town. Property 38: Your private oasis with sea views, a tranquil setting yet so close to town. Property 45: Stunning inner-city Studio apartment! Great modern, clean apartment on two floors...three bedrooms upstairs. The downstairs has a wonderful open floor plan, including fully-equipped kitchen, dining area and living room. This space leads out to a large balcony with views of the water. It met our needs perfectly and we were very pleased with everything for our two night stay.